NEW YORK (CBSNewYork) — The exotic beauty of henna tattoos has been recognized as an art form for thousands of years. Today, the temporary plant based dye continues to captivate. “I was watching these girls get this beautiful artwork done on their hand and I said let me just try it,” Melody Cheung said. Cheung got her own henna tattoo at a street fair, but didn’t realize that it would come with consequences. Cheung was having an allergic reaction to the dye that was used in her tattoo. 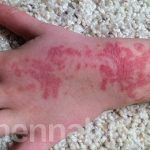 She’s not alone, there have been many case studies documenting mild to severe skin conditions that occurred because of henna tattoos. Skin reactions resembling a raised scar in the shape of the tattoo are also possible. Dr. Ostad told CBS 2 that it isn’t the brown or green henna dyes that typically cause the reaction but a black dye known as PPD or para-phenylenadiamine. It’s the same ingredient that is found in hair dye. Dr. Ostad prescribed topical and oral antibiotics for Cheung and said that even though the rash took months to clear up, Cheung is lucky it didn’t leave any scars. “It’s important to educate the consumer, educate the public that it’s not worth getting a temporary tattoo that has a black dye in them. Just stick to the regular henna that is safe,” Dr. Ostad said. The temporary tattoos that are commonly used by children are safe for almost all skin types. 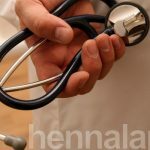 The allergic reactions were caused by henna derivatives.